Do you have a little princess on your hands, that perhaps isn’t into big pink frilly dresses? Mie from the Sewing Rabbit Team is here today with an awesome sewing tutorial showing off her modern day version of the classic princess crown. A crown that not only stays on your little ones head, but also protects that precious head from harmful sun rays! 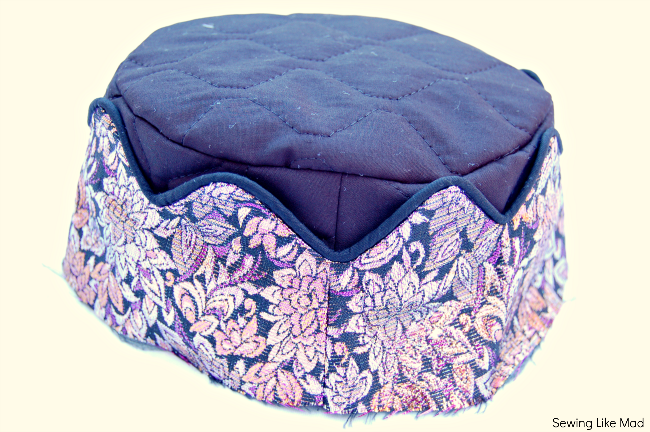 An Urban Princess Crown Hat DIY. I have a fun little tutorial for you today. Depending on the level of drama in your life it balances on the border of dress up or just normal dressing up. The tutorial is showing you how to change any sunhat into a crown hat. 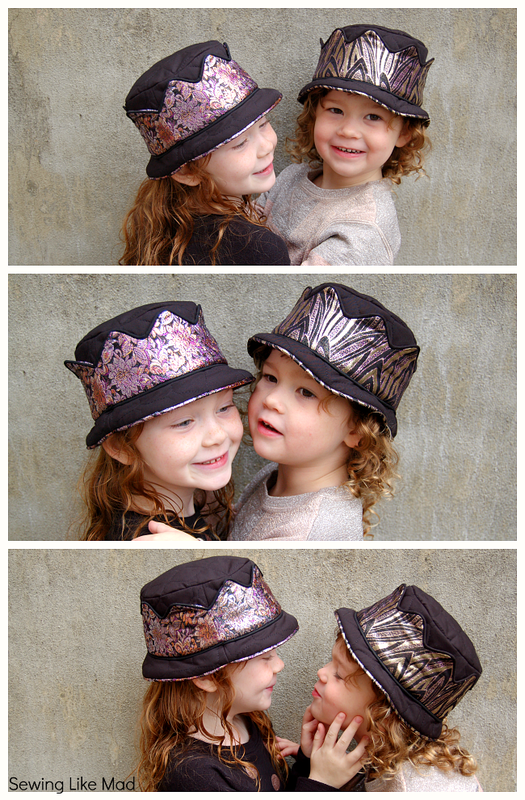 I have used the Oliver + S Bucket Hat which you can find in their book Little Things to Sew. You might recognize the crown hat from my The Little Queen of Plaid post for Project Run & Play. I always thought it was too high – but had no time to change it before the deadline – so for this tutorial I changed the design a bit. Now the hat is same height as the original Oliver + S hat but the crown is not as high. Yippie for second chances, ha. Okay, I dont know if I am the only one flipping over these fabrics (Hancock Fabrics) but well, I am flipping. I had a nice chat with the cutting lady and we agreed that they did not belong in the costume section. I want to drape myself head to toe in them. Too much? Okay okay! But make some sort of fitted little blazer in it and then bring it down to earth with some jeans. Yes please! I am only showing you the piece you need to make changes to, which in this case is the side piece. Normally you would need four of that pattern piece. Two for the outside of hat and two for the lining. After the pattern alteration you will still need two of these for the lining. We are only changing the outside of the hat. First you need to determine how high you want you crown spikes to be. I decided 3 cm (1 3/16 in), measured down from the top and made a horizontal line (red line). 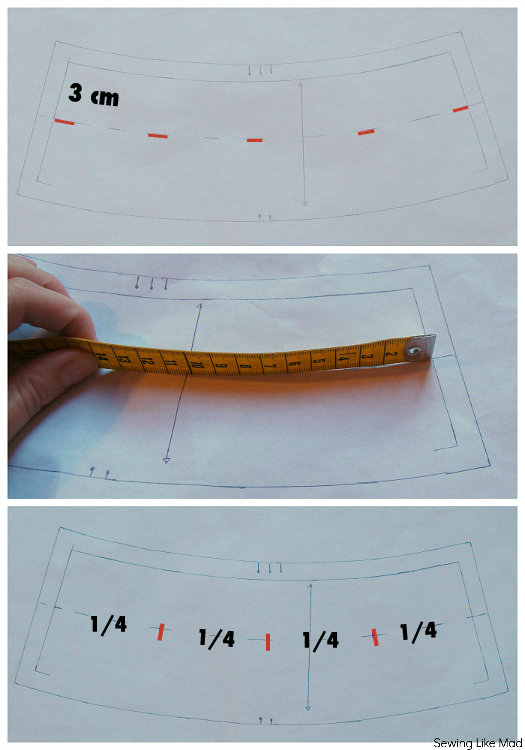 But remember the pattern already has seam allowances added so you have to measure from the actual finish line – not the very top of the pattern piece. Now you have to measure that red line. Again do not measure the seam allowance. To measure curves I am using a tape measurer standing up, as you can see on the photo. I also decided that I wanted four spikes on each side piece ( so eight spikes total al the way around the hat). Therefor I divided the red line with four to make the spikes equally wide. Now you need to find the middle of each quarter of the red line to mark the top of each spike. You are now ready to draw your spikes. Again notice you are inside the seam allowances. And now add your preferred seam allowance. But don’t cut yet! Because now you need to trace the top part of the hat plus the facing of the inside of the crown. And here you see your three new pattern pieces. I did do one more change to the original pattern. I made the brim more narrow. Mine is 3 cm (1 3/16 in) finished (so plus seam allowance). Easy peasy, no need for a tutorial for that part. And you are now ready to cut out all the pattern pieces. 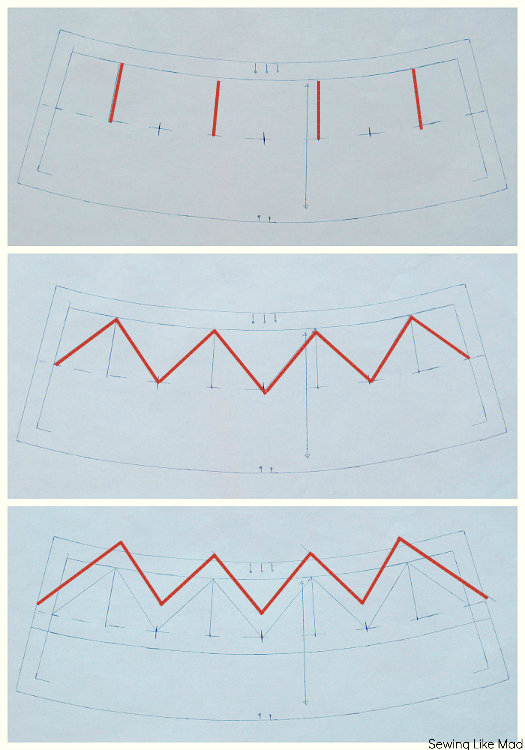 You might ask why I am not showing you all the pattern pieces and the full sewing tutorial? Well, since this is a commercial pattern and not one I have drafted myself, I think this is the most respectful way to do it. I know some would be able to draft the whole pattern just by looking at the hat – and that could happen no matter if I made this tutorial or not. But I believe that by only showing the pieces I am changing I am not helping anyone, who otherwise would have bought a sunhat pattern, to avoid buying it. I hope this makes sense! And thanks for understanding. Oh dear, did they have fun in that pile of leaves! This tutorial will by the way work with any sort of sunhat that is build the way the Oliver + S’ Bucket Hat is….and since that is a classic sunhat shape….most of them are build that way. 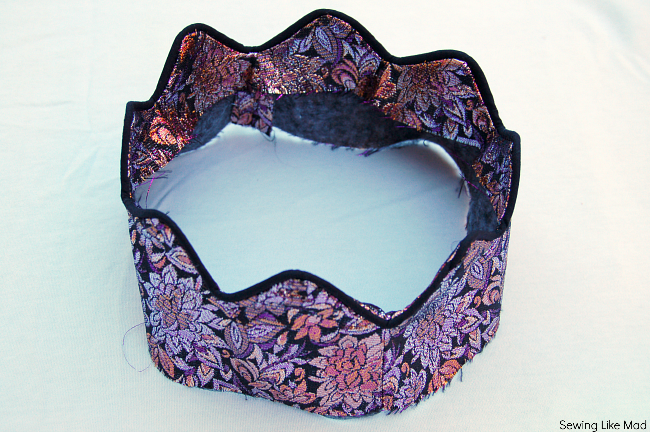 Let’s get to the sewing part….of the crown. I sewed the side seams on the side crown plus facing together and ironed. Sewed the piping on the side crown and then sewed the facing (right against right) to the side crown. Cut down the seam allowance on the top and bottom of the spikes, turned it around, ironed….and then it looks like this. Before this step I have sewed the side seam on the top part of the hat (that sticks up over the hat and making sure the finished hat is same height as the original) and then sewed the oval on-top-of-the-head (also called a crown – confusing in this situation, I know! But that is what Oliver + s calls that pattern piece sooooo probably best to keep that name, right!). 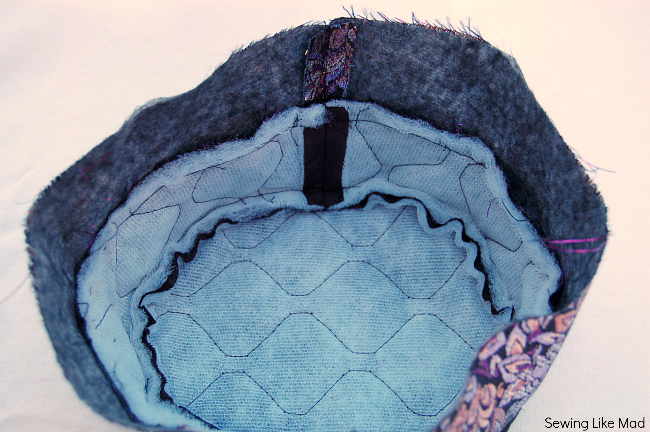 Now we want to sew the top-of-the-head-part (crown) to the facing. 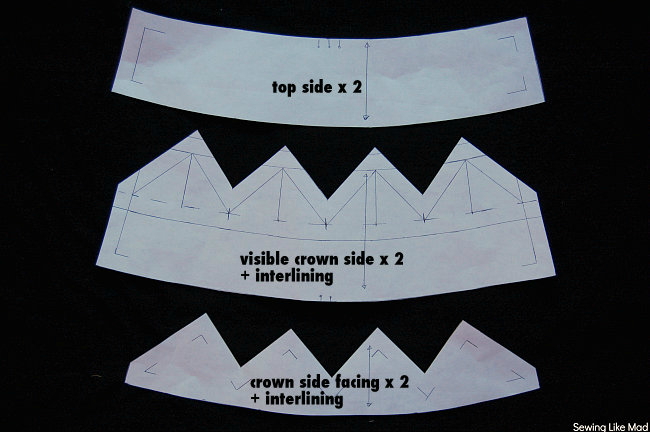 You simply fold down the side crown and then add top-of-head-part (crown) to facing right against right and sew them together. Fold side crown back up and it looks like this inside. And like this from the outside. 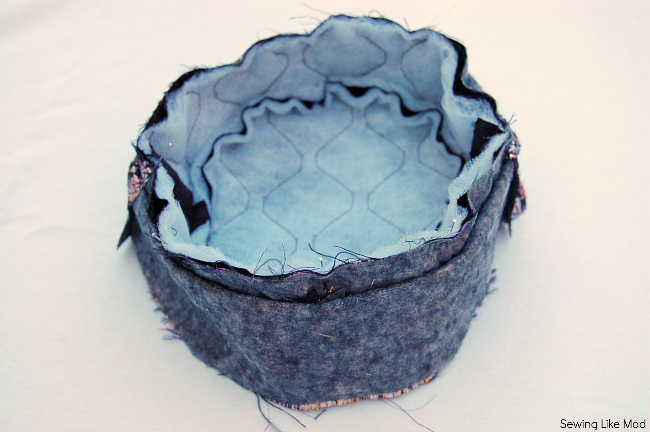 I did fasten some of the spikes to the black quilted fabric so they stayed put. Simply sew a few stitches between the piping and the fabric. You won’t be able to tell they are there. Now you sew the rest of the hat like your pattern instructions tell you. And your kids are ready for royal life. With love from me and my two princesses. Mie, these crowns are fantastic. And your daughters…so adorable!! Elsker den krone, Mie – helt fantastisk. Og det hår på de skønne piger – smelte smelte!! Super cute! Love the pictures. Thanks for the tutorial! What an honor to be featured at your site. Your little princesses are so darn adorable! Thanks for the tute. My little one would love a hat like this! I love that these would be great for boys or girls! Perfect as a gift!